From November Zemgale Technological Centre (ZTC) has changed the production process to using an industrial insulation system. So that panels are packed with cellulose or wood fibre wool with the highest quality. “We have been in the business of house construction for 26 years. 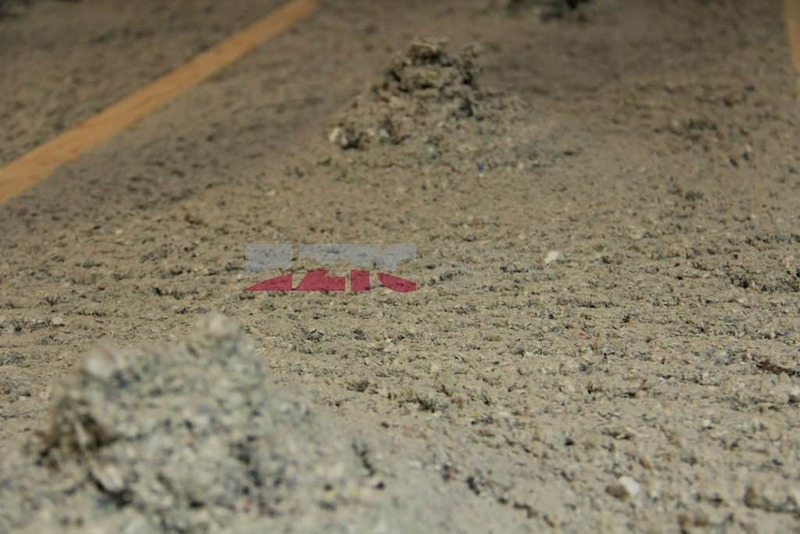 ZTC has grown and developed during this time by working with various projects, technologies and solutions across Europe. Insulation is an important part of a house. 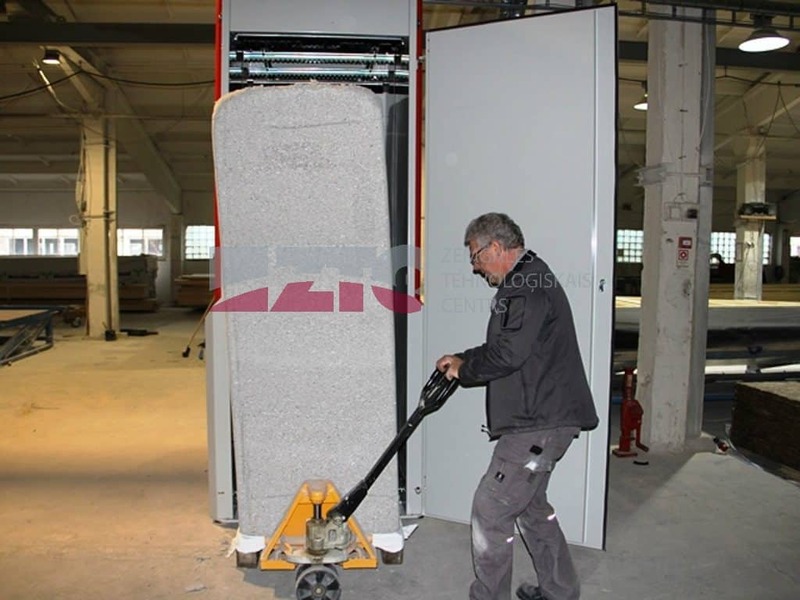 And throughouth the years we have worked with many different materials – rock wool, glass wool, wood fibre wool, cellulose, sheep wool, foam materials etc. You name it! I chose cellulose insulation for my own house. 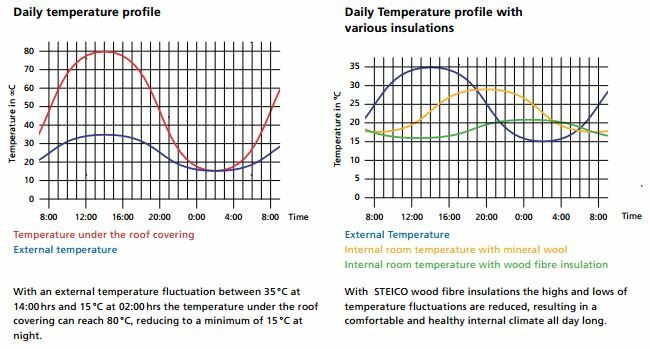 The high heat capacity of ecological insulation such as cellulose and wood fibre wool ensures a more even temperature indoors. 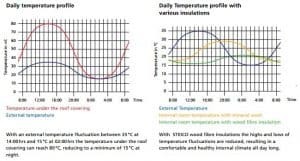 Compared to mineral wools (rock wool or glass wool), wood fibre wool has more than double the heat capacity per kg. That ensures lower peak workloads for heating and ventilation systems to maintain a pleasant temperature indoors. Heat capacity can be compared to the effect of a masonry heater which captures and radiates heat long after the fire in it has gone out. In calculating construction elements it is reflected in phase shift which shows how long it takes for changes in outside temperature to be registered on the inside of the wall. Optimal phase shift is 12 hours so that the heat absorbed during the day compensates the cold of the night and vice versa. 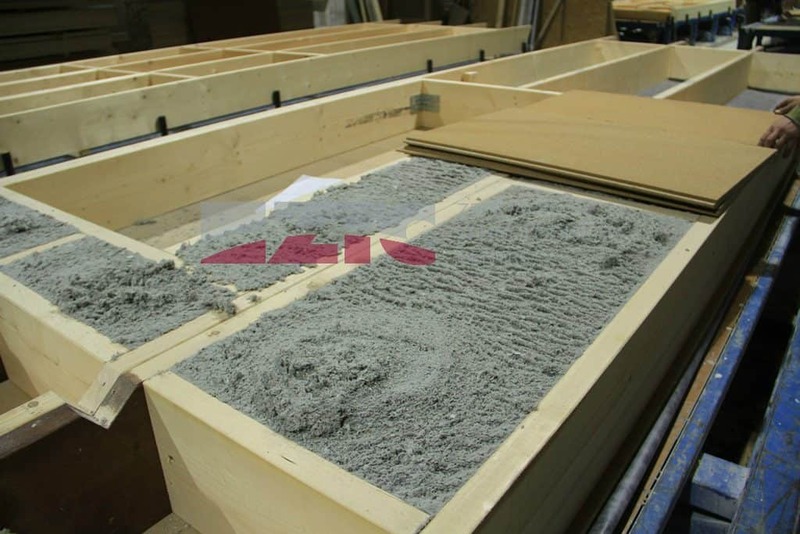 A standard ZTC outer wall panel with cellulose or wood fibre wool ensures a 12 hour phase shift. 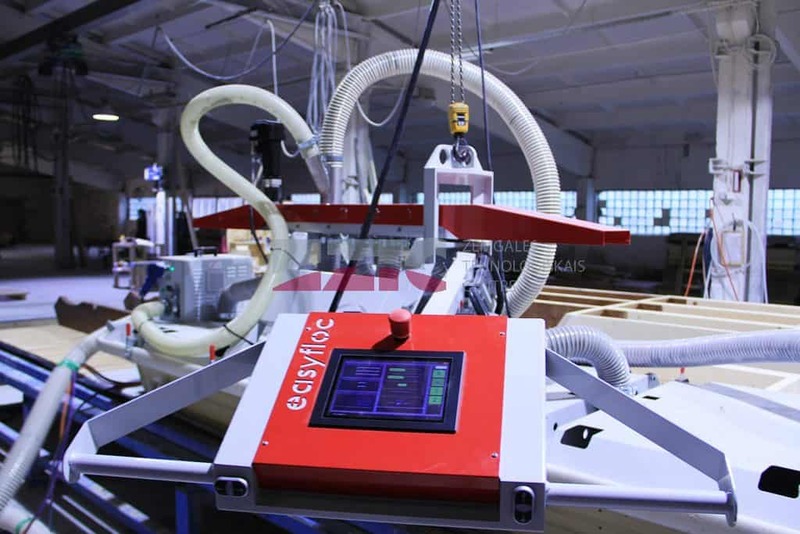 In comparison with mineral wool the panel would have to be at least two times thicker. Because it needs to ensure a 12 hour phase shift while equal U values can be achieved with an equal thickness in both cases. Cellulose and wood fibre wool have better sound insulation qualities compared to mineral wools, which makes it the better material for sound insulation in dividing walls. Higher weight per volume combined with the soft fibres lets the isolation absorb and decrease noise. 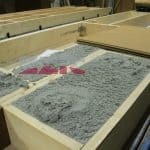 By pressure packing the insulation there are no air pockets or gaps therefore noise is dampened even better. Wood fibre wool and cellulose allow the house to breathe and regulate air humidity. One of the main enemies of timber frame houses is mould that can be caused by vapour condensation within the walls. Usually this is averted with a PVC vapour barrier. But that also takes away the capacity of the structure to regulate air humidity indoors like traditional wood buildings. Cellulose and wood fibre wool decrease condensation risks because unlike mineral wools, these materials dissipate humidity. Therefore in combination with an active vapour control layer prevents condensation and stabilizes air humidity indoors for a pleasant microclimate. With an industrial insulation system insulation is pressure blown into panels with software controlling the amount and density packed in. This way insulation fills all the tight corners and does not leave air pockets. 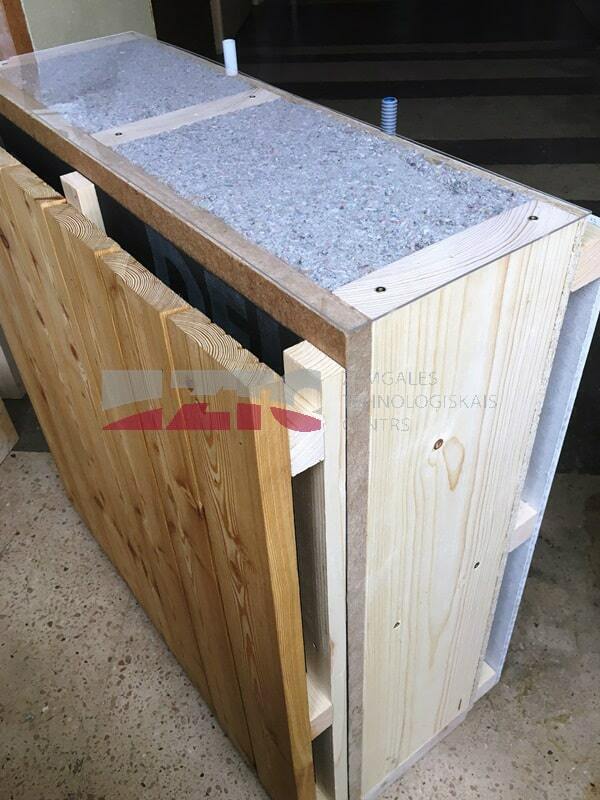 The process ensures better thermal and sound insulation and prevents compacting of the insulation with time. 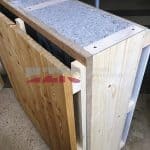 After packing visual quality control is performed which is not possible if insulation blown in through a hole with the usual technology. Demonstration of usual blow-in cellulose technology in some other company. 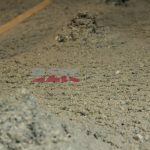 For demonstration purposes slab material is replaced with plexiglass. Find out more about the production process!